What Happened to the Chron's Paywall? The newspaper has quietly stopped charging for stories on its website. Two years ago, the San Francisco Chronicle, bleeding $50 million a year in losses, grudgingly erected its first paywall. But it did so in a way that seemed a little more wishy-washy than some of its peers in the news business. Whereas The New York Times would emerge a year later with a $15 monthly subscriber fee, the Chron set up a system on its website in which certain stories could only be read by subscribers of its newspaper or iPad edition or by paying customers. In the paper, the stories appeared with a "print-only" logo beside them, meaning they'd be behind the website's paywall for a few days before they would be available for free. The Chron's term for its program was "premium content strategy," and it was designed to do what the name implied: sustain the newspaper's print subscriber base while growing its iPad audience. The whole concept was based on a not-so-subtle ideal of bifurcation. Print and tablet readers were first to get the enterprise stories, restaurant reviews, profiles, Willie Brown's column, arts coverage, and other boutique stuff that had a certain high-art cachet, but could also survive a two-day firewall on the website. Generally, the stories were meant to attract an older, more affluent reader, which was exactly the kind of print and tablet audience the Chron envisioned. The SFGate home page, meanwhile, featured celebrity scoops, breaking news, and pop culture — not for nothing were its most prominent columns called "The Daily Dish" (gossip) and "Day in Pictures" (photo gallery). These features were designed to give the publication two perfectly-packaged consumer demographics, which it could then sell to advertisers. 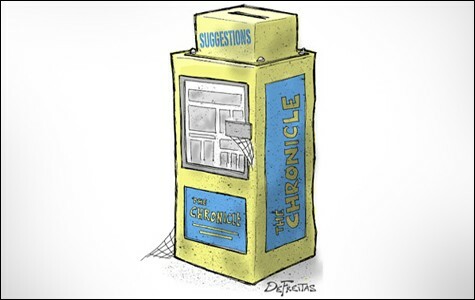 But over the past few months, the Chronicle has quietly abandoned its two-tiered system. As of Monday, the "print-only" logo still appeared in the bottom left-hand corner of the front page of the print edition, but it's seldom attached to any stories, and few, if any, are appearing behind the website paywall, either. Take last Friday's paper, for example. The front page featured two enterprise stories that would have been embargoed under the old system: Peter Fimrite's piece on salmon and Carla Marinucci's feature on "waitress moms" being a crucial voter demographic. One also could argue that Ellen Huet's story on gold thievery in Siskiyou County and Wyatt Buchanan's piece on hospital unions also could have gotten the "premium content" sticker. News analysts say there are plenty of reasons why the Chronicle would want to revamp its business. For one thing, said media expert and former Chron employee Steve Outing, it no longer behooves a struggling metro paper to focus on retention strategies for its print audience, since that audience is going to leave eventually anyway. "It's a way to cling to the old model," Outing said, indicating that, when you're trying to save money on overhead costs like printing presses (or delivery people, for that matter), courting a declining readership is "not necessarily a good thing." Known in the old days for being weird, independent, and quirky, the Chron also has suffered a very obvious identity crisis in recent years, since it's wedged between Bay Area News Group and its stable of metro papers; The Bay Citizen, which combines news with long-form investigate journalism; a slew of blogs; several alt-weeklies; and national periodicals like The Wall Street Journal and The New York Times, both of which now have extensive San Francisco sections. At the same time, BANG saw a huge shift in leadership last year when its parent company, Media News Group, was taken over by Digital First Media. The founder of Digital First, John Paton, a self-proclaimed Internet "apostle," declared upon arrival that the old system was broken. No longer would your news be printed on broadsheets; it would be available to anyone with a web browser. Paton took the old saw about "trading print dollars for digital dimes" (a pejorative way of saying that web ads make 10 cents for every dollar of print ads) and turned it into a marketing credo. Then he instituted a new strategy centralizing operations, aggressively pimping social networking sites, making everything available for free, and hoping web advertising would supply what was lost in print, said Editor in Chief Jim Brady. Antithetical to both the Chron way of doing things and the paywall planned by former Media News Group CEO Dean Singleton, Digital First is putting pressure on other local dailies to get in step with the times. "The world has moved really strongly toward immediacy, as a value," said media analyst Ken Doctor. Brady also vehemently defends this philosophy, saying that Digital First is merely responding to market exigencies and the erosion of a traditional reader base. "You can't build a business model on what people should pay for," he insisted. "You should build a model on what they will pay for." Yet Chronicle Managing Editor Stephen Proctor insists there's still value to the premium content strategy, which is why the paper hasn't abandoned it entirely. 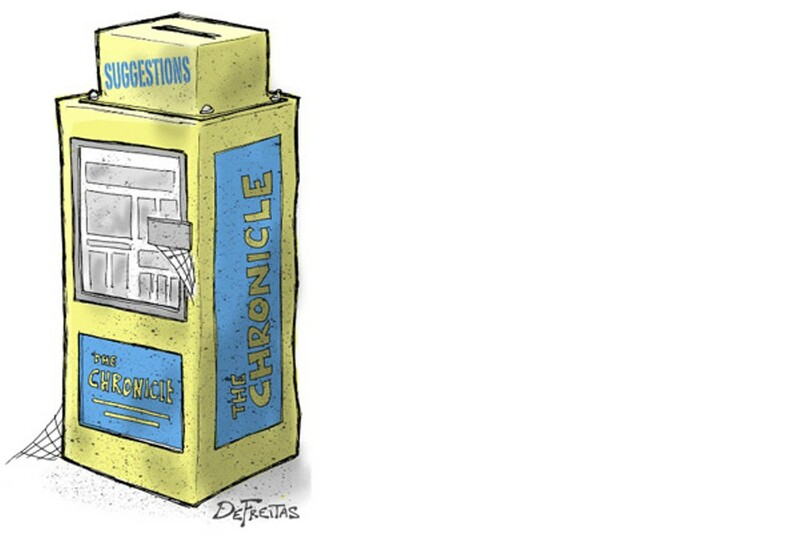 "Certain things are placed in the paper and on the iPad application, and the strategy was intended to emphasize their value," he said during a recent phone interview, in which he also denied that the Chron is planning to change its business model. Proctor attributed the decline of the system to several factors: first, the need to cover the Occupy movement, which took up a lot of A-1 breaking news space that couldn't be embargoed; second, less pressure to underscore the value of the iPad app a year after it had gone on the market; and third, less editorial pressure on section editors to decide which stories to embargo. Looking into the crystal ball, Doctor predicts that the Chron will eventually move toward a more aggressive, all-access paywall, similar to what The New York Times instituted last year. The Times has been largely successful, he said, garnering more than 300,000 digital subscribers in one form or another, making it profitable for the first time in years. But the Chron resides in a different universe than the Times, and it would probably have a much harder time convincing readers to pay. What is clear, however, is that the Chron is looking for new ways to optimize its revenue stream. Subscription rates have gone up incrementally over the last few years — in the last few weeks alone, the cost of a Sunday through Wednesday subscription went up about 6.8 percent — and the Chron has also opted to move its East Bay bureau to cheaper digs in West Oakland and Alameda, where it can save on rent and consolidate operations. (It did the same thing with its Sacramento bureau last year.) Both moves indicate that the Chron, long a money-losing paper, is throwing ideas at the wall to see what sticks.